When did you discover your love for volleyball? Zamparelli: I’ve always had a love for sports in general. But I fell in love with volleyball after helping shag balls for a beach event. From there, I decided to try and play indoor volleyball for Santa Monica College, along with basketball which is what took me to college. At the time, they didn’t offer beach volleyball at any colleges. What was your experience bouncing between two entirely different college-level sports? Zamparelli: Well, eye-hand/foot coordination was second nature to me, but I was still learning a new sport at a competitive level. As a less experienced volleyball player, there were a lot of habits that I had to break. Basketball is totally aggressive by nature, where volleyball is a non-contact sport. This alone was enough to throw off my game. Volleyball is so much more of a mind game. What set you apart from the rest of the more experienced players? Zamparelli: When I began playing indoor, I asked my coach (Elaine Roque) if I could start coming to her beach practices just to observe. I became an observer! I observed the weaknesses of my opponents and attacked. Since then, much of my success has come from my ability to observe tendencies and weaknesses. So, at this point you were balancing the responsibilities of academics, settling into college life, while also playing TWO college level sports. Zamparelli: Yes. Balance is definitely the key word there. My life has always been a balancing act. I was incredibly busy with school and I was a part-time waitress/bartender on the side. I played one year of both volleyball and basketball at Santa Monica College. After I received a scholarship to California State, I played both sports for another year. Eventually, I quit basketball because it became too stressful on my body. 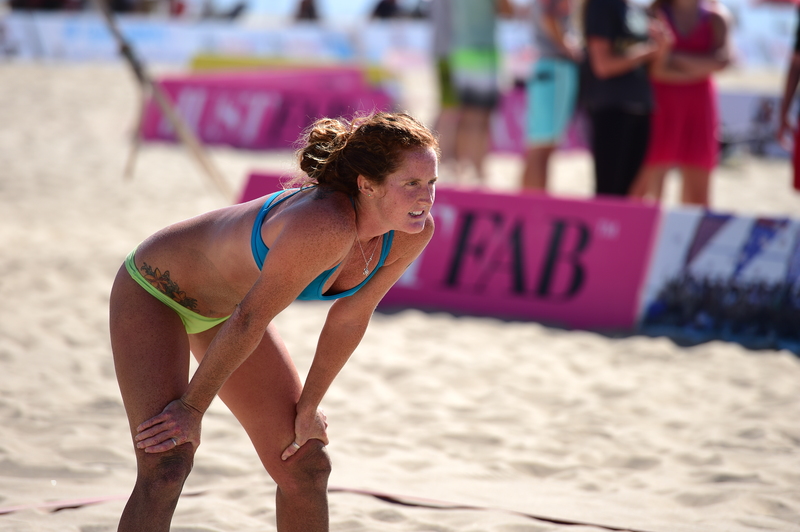 What made you switch to beach volleyball full time? Zamparelli: I fell in love with the beach. The lifestyle, outdoors and competition was such a thrill for me. I felt like the attitude on the beach was so carefree and that is what I saw for my future! At this point, were you planning on playing professional post-college? Zamparelli: No, I really didn’t really know my ability because I was still so new. It wasn’t until I began winning local opens and other smaller events that I realized I could actually do it. What were some hurdles that you had to overcome in your volleyball career? Zamparelli: You might think my biggest obstacle was my late start to the sport, or maybe my height. But honestly, my biggest obstacle was continuing to believe in myself. I’ve had a coach tell me that I wasn’t good enough. It made me mad, and at times I thought I believe it. I carried this anger with me for years. It wasn’t until recently that I learned to not be angry, but to be THANKFUL for one comment to push me forward. I didn’t let it get to me all of the time, but I’m sure there was some underlying memory of it that was affecting my progress. My late start to the sport and my height were EASY to overcome in comparison to believing in myself. Believing in myself allowed me to be confident in my talent and to trust myself. When the time came to reach out to players and ask if they wanted to play with me, I had the confidence to do so. Starting late prevented me from making certain connections and relationships with players. I didn’t have fundamental resources or contacts. I had to reach out myself. 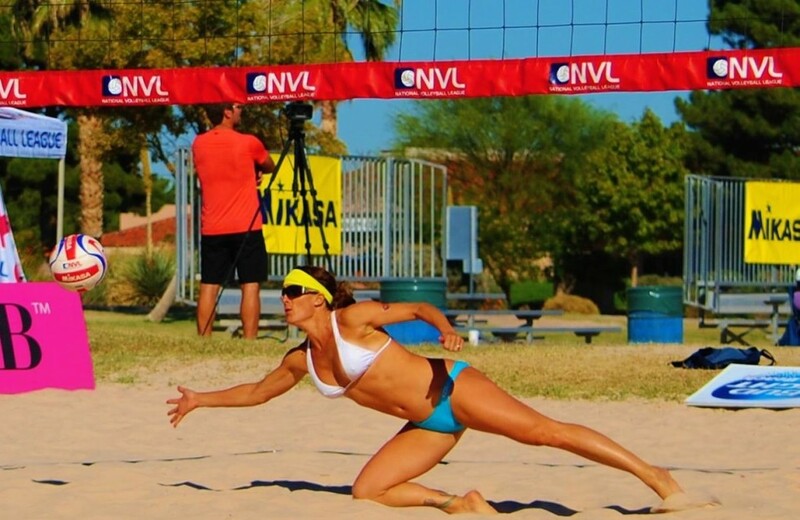 How did you spend your time outside of volleyball? I also started doing some personal styling on the side. While working with Kristen Kemp, she asked me to help her pick an outfit for American Idol. When I went into her closet it was an absolute mess! I organized the closet and chose her outfits for her – it was at that moment that Kristen decided I needed to become a professional personal stylist. I started my own business in 1999 and it has now developed into a successful business with 16 years worth of private clients. 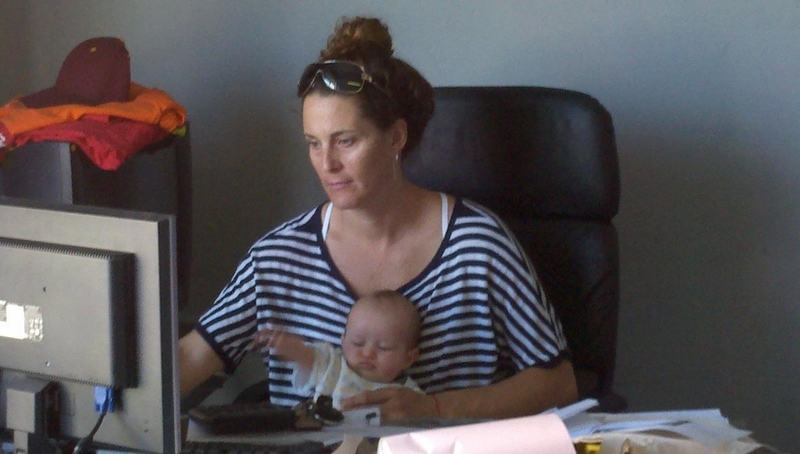 So, to sum it up, you are a personal stylist, professional beach volleyball player and a full time wife and mother. Zamparelli: My husband also has a printing and embroidery company so I am his favorite secretary. It’s a juggling act, no doubt. It’s all about balance for me. I take the help that I can from my mother and I probably sleep less than I should, but I can make money at multiple things and my body feels great. Did I also mention, my husband is amazing and I couldn’t ask for anyone better for me? He is my rock! Zamparelli: The younger players are my biggest drive. They are learning everything that took us 10+ years to learn. They are faster and they don’t give up. The only thing I have on them is that I am an observer. My ego no longer plays a large role in my game and I can play more of a mind game over them… for now. In anything that you do, there is always going to be someone younger, better and smarter. So what do you do to counter it? I’ve played and coached with younger players and I’ve watched them grow. As long as I keep my hands in it, that drives me. As for what inspires me, I would have to say my family and desire to stay healthy and active doing something I love.